Managing medical claims is one of the most complex tasks for a medical organization. Healthcare organizations today, are clutched in the non-core areas of their expertise and face challenges to manage the medical claims. According to National Health Spending Projections, US, the collateral expenditure is increasing every day, surpassing USD 10000 per person with an annual increase of 5.8%. Hence, there is a dire need to inculcate a professional outlook towards managing the medical claims. Managing the medical claim is a complex task that requires expertise, caution and extreme vigilance. And it is difficult for the insurer to bring in consistent changes in their medical billing cycle. Each step has several processes and variations, which makes the billing cycle a single unit and changing one process will affect the other. Thus, the medical organizations need to look for alternatives to reduce the costs involved in the claims processing. Here, in this article, we have listed some of the claims processing best practices that a healthcare organization should follow. If a healthcare facility is not using the latest claims processing technologies and holding on to the legacy software systems, it is time for them to shift gears. It gets much more difficult to cater to clients’ need using the older software and maintain a healthy relationship. The latest claims management systems are hosted in the cloud, which is accessible from anywhere. It will accurately record, safe-keep, and dispatch claim settlements. And the updates are automated, thus, helping them in delivering the best customer satisfaction. In most cases, the clients are only informed when their claims are denied or accepted. This single interaction is a source of a lot of apprehensions and grievances in the healthcare industry. Keeping the clients informed at every stage of the process, one can provide a transparent service and build trust among his clients. The payers need the right and accurate information so that they can process the claims as soon as possible. If the records are outdated and the information is inaccurate, it can delay the claim processing. Hence, the records must be cleaned and updated at regular intervals, and the duplicate records must be removed. Moreover, the information should be merged together, while inspection of the segmented lists should be done side by side. It is among the most important tips for better claims management. 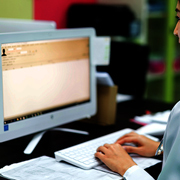 HIPAA regulations have made it mandatory to submit the insurance claims electronically. Sadly, not all claims are filed this way. However, if one can strictly adhere to the HIPAA guidelines, electronic filing of the claims can help reduce the extent of errors and bring down the paperwork. One should know that the paper claims take 30% more time to process as compared to the electronic claims. Electronic claims submission reduces the unnecessary claim denials, increases cash flow, and reduces the operational costs. It is important for healthcare payers to understand the different billing models such as centralized, decentralized, hybrid billing, and outsourced medical billing. By understanding the shift towards value-based care from the traditional fee-for-service, it will allow them to focus on delivering better patient and customer care. Nurse case management is a highly effective method to sort out a complicated claims case. An efficient nurse case manager will ensure that the entire healthcare treatment process is coordinated in a timely and consistent manner. The information provided by the nurse case-manager usually helps in speeding up the process. Transformation, irrespective of the domain and industry, is a system of systems. It comprises people. In healthcare too, one can utilize the data analytics and predictions. And digital communication saves time. Thus, using data analytics and automation can help the payers to improve their operations, reduce the gaps in the process, and improve the services provided to their clients. The attitude towards the amalgamation of healthcare and IT will give a healthcare provider a great platform with immense possibilities to chart out their future healthcare billing scenario. Outsource2india has been a leading provider of highly efficient claims management services in India and a plethora of other healthcare services to its global clientele. We have a team which comprises highly skilled and talented claims management experts who understand the claims management tips for health payers and can assure you of improved performance and reduced claims denials. All our processes and services are ISO and HIPAA compliant. We can provide the best quality services within a quick turnaround time through our multiple delivery centers. If you are looking for a reliable, cost-effective, efficient, and effective claims management service provider, then you can get in touch with us today!